South Asian journalists are bursting forth. They report from the battlefields of Iraq, from earthquake-shattered Kashmir, from tsunami-devastated Sri Lanka. They pontificate on how to win the war on terror or where the almighty dollar is headed. Sometimes, they simply tell you how to design the perfect room or buy the best cigar. When Fareed Zakaria, of Foreign Exchange and Newsweek International, talks, people listen. They are South Asian journalists – and they are everywhere! Right from the ramparts of Newsweek International to the heart of The New York Times to the financial maze of The Wall Street Journal, South Asian byline are bursting forth. A decade ago, South Asian bylines were typically found only on business reports. But now they are appearing on a wide range of stories – breaking news from war-torn areas, opinion pieces in the world’s leading newspapers, lifestyle features in hip, trendy magazines and grassroots stories in local papers in small towns all over the United States. South Asian journalists report with some frequency in publications as diverse as The Atlantic Monthly, Village Voice, The Washington Post, Sports Illustrated, Black Book, Gourmet and The Los Angeles Times. 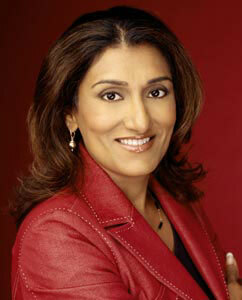 South Asians are also storming into broadcast media from CNN to ABC to Fox News, as well as new media and blogs. Indian Ink is writing overtime – and here are a few of the big names. 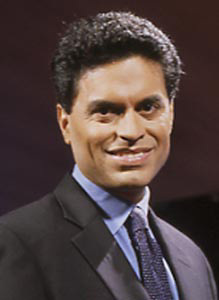 Fareed Zakaria, editor of Newsweek International, which boasts a worldwide readership of 25 million, has an uncanny ability to spot political and economic trends. When Zakaria talks, people listen. His views on terrorism, national security and the global economy are encapsulated in his columns in Newsweek and, often, The Washington Post. You can hardly zap talk shows on TV without seeing Zakaria on one of them. And now he has his own program on television, Foreign Exchange, a weekly series on international affairs, as well as a best seller, The Future of Freedom. 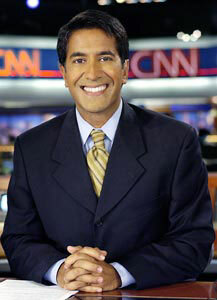 A familiar face for television viewers is that of CNN superstar, the very affable Dr. Sanjay Gupta. He’s probably the most famous South Asian journalist in America, today. You see him in action in Iraq, in Kuwait and in tsunami-hit Sri Lanka. You see him take unpalatable truths about health and fitness and make them easy for millions of viewers to swallow. He is perhaps every Indian parent’s dream – a high profile celebrity who’s also a doctor! Sometimes, his two professions collide, as when Gupta was reporting live from smoldering Iraq, and people with gunshot wounds to the head were brought into the area. “I was a journalist but I was also the only neurosurgeon who was in the field with this particular unit,” he recalls. “So at the same time I was reporting the story, reporting how war takes place and the injured are cared for, I was asked to basically take off my journalist hat and put on my surgeon’s cap for surgery.” And he did, in the middle of the desert, as the bullets flew. Little wonder then, that’s he got legions of fans. Peter K. Bhatia, executive editor of the Portland-based The Oregonian, has been eyewitness to the slow rise of South Asian journalists. He’s the past president of ASNE, the American Society of Newspaper Editors, the largest organization of editors of daily newspapers in the United States. On Bhatia’s watch, The Oregonian won Pulitzers for public service and for feature writing, and he’s also been an editor on three Pulitzer-winning projects. Indeed, when South Asian Journalists Association (SAJA) was formed in New York in 1994, it had just 18 members; today it boasts over 630 members, including 170 students, with chapters in several cities. Sreenath Sreenivasan, who co-founded the organization and is professor of New Media and dean of students at Columbia University’s School of Journalism, estimates there are over 1,000 South Asian journalists in mainstream outlets. Earlier they all seemed to be concentrated in finance or business publications, but now they are spread across a wide array of media. South Asians have spread to alternative and progressive media, as well the conservative press. 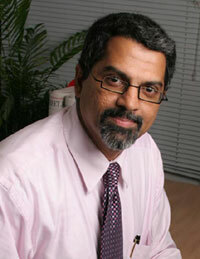 Ramesh Ponnuru, a leading conservative voice, is senior editor at the prominent conservative journal, National Review. The posting is considered a tough one, because it encompasses so many cultures and countries and has now added importance with South Asia’s new prominence, particularly India’s rise. Indians were never offered the job earlier, simply because so few of them were in journalism. 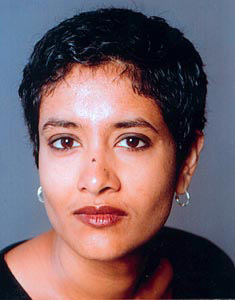 Somini Sengupta is currently New Delhi bureau chief of The New York Times. Perhaps the first Indian to head an Indian bureau was Manjeet Kripalani, who left a successful New York based career with Forbes and Fortune magazines to return to India to head up BusinessWeek’s India bureau which was a historic move for magazines generally, but a great breakthrough for South Asian journalists. Shashank Bengali was recently appointed Nairobi bureau chief at Knight Ridder; a previous Nairobi bureau chief, Sudarshan Raghavan, was also South Asian. 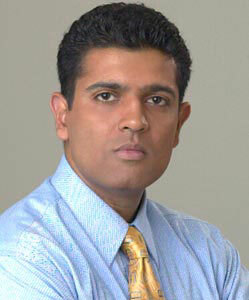 Rajiv Chandrasekaran served as The Washington Post’s bureau chief in Iraq. The Dow Jones company, publisher of the Wall Street Journal, has been especially receptive to South Asian journalists; currently almost two dozen work at the company. These include Anita Raghavan who covers stocks; Amal Naj who is a manufacturing reporter, Raju Narisetti, formerly a tech correspondent and now head of Wall Street Journal Europe; Geeta Anand, a health and science reporter who shared a staff Pulitzer Prize for a series of stories about scandals in corporate America; Nikhil Deogun, deputy Washington bureau chief at the Journal; Krishnan M. Anantharaman, managing editor of The Wall Street Journal Classroom Edition, the Journal’s monthly educational publication for high-school students; and Tunku Varadarajan, editor of its editorial page. Perhaps the first Indian to head an Indian bureau was Manjeet Kripalani, who left a successful New York based career with Forbes and Fortune magazines to return to India to head up BusinessWeek’s India bureau. The New York Times also has several South Asian journalists on its staff, besides Sengupta, such as Vikas Bajaj, Neela Banerjee and Shaila Dewan. At Newsweek, Nisid Hajari is managing editor. Time magazine’s World editor Romesh Ratnesar has covered more than 20 cover stories on everything from the hunt for Osama bin Laden to the Israeli-Palestinian conflict. Other Time reporters include Ratu Kamlani, Unmesh Kher and Jyoti Thottam. 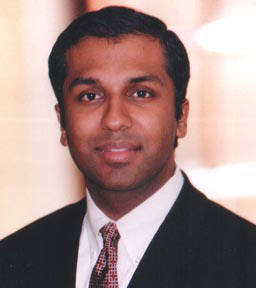 At The Washington Post, Rajiv Chandrasekaran, is now assistant managing editor. The paper’s other South Asian journalists include Shankar Vedantam and Mitra Kalita, an education reporter, with a special interest in immigration, race and youth culture. Sudarshan Raghavan, who was Knight Ridder’s bureau chief in Nairobi, is also now at Post. Think of any major media outlet and you are more than likely to discover a South Asian byline: Chitra Raghavan is a senior writer at U.S. News & World Report, covering the justice Department and the law beat; Ritu Sehgal, formerly an assistant managing editor at The Miami Herald, is now at Detroit News; Deepti Hajela is at the Associated Press. Rummana Hussain is a general assignment reporter at the Chicago Sun-Times. 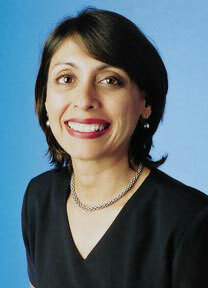 Minal Harjratwala is editor of “Perspective,” the Sunday viewpoints and ideas section of the San Jose Mercury News. Sridhar Pappu, a popular columnist with The New York Observer, is now staff writer with Sports Illustrated; Jaikumar Vijayan, one of the senior-most South Asian technology journalists, is currently senior editor at ComputerWorld; Sanjay Bhatt is medical reporter for The Palm Beach Post in West Palm Beach, Fl. South Asians are appearing in truly offbeat places: Shandana Durrani is senior editor at Cigar Aficionado, a men’s lifestyle publication. Born in Lahore, Pakistan, Durrani grew up in Detroit, Mich. She started out as an editorial assistant at Racquet magazine and wrote for Glamour, Wine Spectator and now edits sparkling copy about celebrities and their favorite cigars! Zahid Sardar, a San Francisco-based writer, editor, and designer, specializes in interiors, architecture and design. He is also the architecture and design editor of the San Francisco Examiner Sunday Magazine. This is especially true for local television. Asha Blake, who served as anchor at ABC, is presently at Denver’s WB2; Karim Hajee is reporter at New York 1; Uma Pemmaraju who won Emmys for spot reporting is at Fox; Sukanya Krishnan is on New York’s WB11; and Gurvir Dhindsa is on Channel 5 in Washington. 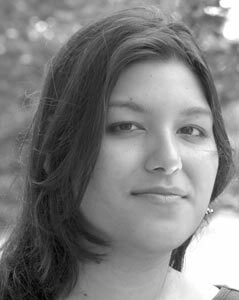 Mitra Kalita is education reporter at the Washington Post. 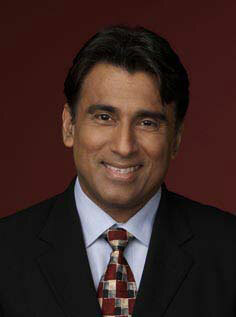 Besides Sanjay Gupta, the South Asian journalists at CNN include Satinder Bindra, who was New Delhi bureau chief and is currently senior international correspondent; Zain Verjee, an anchor for CNN International (CNNI) based in Atlanta, and now being increasingly showcased on domestic CNN; Aneesh Raman is CNN’s correspondent in the Baghdad bureau; Mallika Kapur is a reporter and producer for CNN in London; Sumi Das is a national correspondent for CNN Newsource in Washington, D.C. She files feature stories and breaking news reports as well as provides custom live reports for 800 CNN Newsource affiliates. Yes, be it print or broadcast, South Asian journalists are certainly coming into their own. But it’s not been a smooth yellow brick road on which they’ve merrily danced to the Emerald City. Hari Sreenivasan of ABC News, one of the few Indians on a national network, recalls the lonely road and the hard climb up, because until a decade ago there were few South Asians in broadcast journalism. 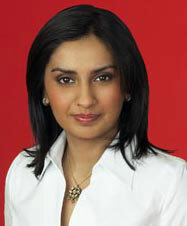 Satinder Bindra, who was New Delhi bureau chief and is currently senior international correspondent at CNN. In fact when he started out a decade ago in Raleigh, N.C., at WNCN, an affiliate of ABC, he found being a person of color in the South was disconcerting, to say the least. He recalls an assignment to interview a chicken farmer, and scheduled the meeting on the phone. It should have been a breeze. Nothing could convince him that Sreenivasan was the reporter he had agreed to be interviewed by. He kept asking, “What are you doing on my land?” all the while handling the shotgun. The surge in South Asian journalists is a great departure from as recently as a decade ago, and most surely from the 1930’s when a young Indian by the name of Gobind Bihari Lal decided to enter journalism. Lal is credited with popularizing science writing and served as president of the National Association of Science Writers. 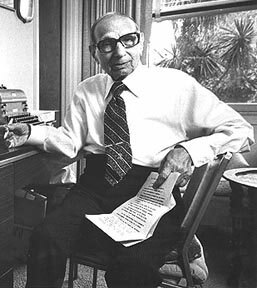 Lal, the first South Asian journalist to win a Pulitzer Prize, died in 1982 at the age of 92, still science editor emeritus of Hearst Newspapers. South Asian bylines were rarity the American media until relatively recently. In the 1970s Pranay Gupte reported for The New York Times and went on to become a foreign correspondent in Africa. 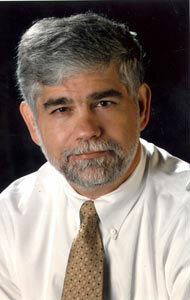 He is presently a business columnist at The New York Sun. Another early byline was that of Subrata Chakravarty, who joined Forbes in 1972, rising through the ranks to assistant managing editor, responsible not only for coordinating coverage of large corporations and writing, but also for mentoring young writers over his 25 year tenure. Chakravarty wrote the first article about India’s economic hreforms in a major American publication, titled “Getting the Elephant to Dance,” long before it became trendy to write about India. Currently he’s editor of Top Worldwide at Bloomberg News. Another early starter Ron Patel, who died in 2000, served as editor of the Sunday Philadelphia Inquirer. They were the early pioneers, lonely voices out there for many years by themselves, flying solo, carrying their unwieldy Indian names with them like a talisman. Vibhuti Patel, presently letters editor at Newsweek International, started out at the organization in the 1970’s. With a strong sense of self, she wore a sari to work in that all-American institution and still does, only occasionally swapping it for a salwar kameez. 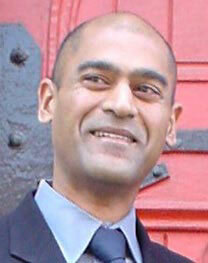 Jai Singh, who now runs one of the most important technology websites, CNET News.com, was another of the early pioneers. Last year he won the prestigious National Magazine Award for General Excellence Online. He recalls, as a student, sitting in the journalism department working late at night. He was almost evicted by the security guard, who had never seen an Indian in journalism school and thought he had sneaked in from the engineering department! BUT YOU SPEAK SUCH GOOD ENGLISH! Raju Narisetti heads the Wall Street Journal Europe but when he first came to the United States as a student he had just his Indian clips. Here in his own words he talks about the experiences of trying to break into mainstream journalism. “Like most Indian journalists working for American media companies, I came to the U.S. to get a degree in journalism. In my case it was an MA in journalism from Indiana University in Bloomington. Indiana had a peculiar rule that foreign students couldn’t work off-campus so the biggest hurdle in many ways was trying to make your small tuition waiver/stipend money stretch. I remember getting an A for writing a paper about craving for pizza, but not having enough money to eat it regularly! interview because the editor there found some of my work for The Economic Times (where I had worked in India) interesting. The clips could get you an interview for an internship, but all your previous experience was pretty much discounted by hiring editors and you had to show and prove that you could work in an American journalism environment. I remember getting asked to write a short feature on CPR for dogs for a slot called the “Orphan” at the Journal and the shock on the editor’s face when at the end of the day I turned in a story. He seemed stunned that I could finish it off in a day. But it is also a good feeling when you can shock or surprise someone in that way! I haven’t encountered many hurdles in all my years at U.S.
newspapers other than some bureaucratic problems: we had to ask Senator John Glenn to intervene when a local Department of Energy nuclear facility wouldn’t allow me to enter for a story because I was an Indian citizen and India hadn’t signed the nuclear non-proliferation treaty! SADDAM’S BEEN CAPTURED! HOW DO YOU TELL ASIA ABOUT IT? Nisid Hajari, Managing Editor, Newsweek International takes us behind the scenes in one of the world’s most respected publications. Q: What have been the special challenges – and adventures – of being managing editor of Newsweek International? A: This is one of the best jobs in international journalism, if I can be so immodest. Not only do I get to work with one of the smartest foreign policy minds in the country (fellow South Asian and my boss, Fareed Zakaria), but also we have at our disposal an incredibly talented network of experienced foreign correspondents who are both expert in, and thoroughly engaged with, some of the most rapidly changing parts of the world. It’s an education every week, especially since the proliferation of news outlets means that we have to concentrate more and more on the big ideas behind the news. But at the same time some of the most exciting moments naturally have to do with breaking news events – like the time we got a call at 4 am on Sunday, after putting the issue to bed the night before, that Saddam Hussein had been captured with a dozen people. We managed to completely replace our cover package by a little after noon and given that our Asian plants had already started to gear up, I finally got to say ‘Stop the presses!’ and mean it. Q: About a decade ago, South Asians were not prominent in the media business. When and why do think this transformation occurred? A: I don’t think I could put a specific date to it. I think it’s been more an evolutionary process. As the population of second and third generation South Asian Americans has grown, the number of them branching out into fields other than medicine and engineering, to take 2 stereotypes, has also naturally grown. Perhaps they’ve been inspired by the proliferation of South Asian novelists to take up writing, or perhaps they’re simply looking to pursue a different path. But their rising numbers are simply part of the natural diversification of any immigrant community, a sign of how South Asians are increasingly interwoven into the fabric of American society. Q: You’ve had a career across Asia. What special skills are needed in our changing world? What would you tell young South Asians considering a career in journalism? A: I think a healthy curiosity about the world outside our borders is key for anyone, especially someone interested in journalism. It’s a cliché, but figuring out how people are going to use the web to consume their news is only going to become more and more important. The entire industry is going through a wrenching shift right now, and those who are going to adapt better are likely to be younger folks who are comfortable with disseminating and consuming information across different mediums. As for what I’d say to those young journalists-just do it. This might not be the most lucrative field in the world, but it is one of the most interesting. 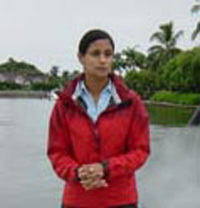 Sumi Das, is a national correspondent for CNN Newsource in Washington, D.C. She files feature stories and breaking news reports as well as provides custom live reports for 800 CNN Newsource affiliates. Q: How much does ethnicity play a part in the hiring in American newsrooms? Is being South Asian an asset or a hindrance in today’s world? A: The best newsrooms always look to increase the diversity of their staffs, especially those whose audiences are themselves ethnically diverse. I wouldn’t say it’s the key factor, but is or should be an important consideration when looking at young journalists. Being South Asian is generally an asset, I’d say, given the increasing interest in different cultures and in that part of the world more specifically. Though it might not always feel that way when passing through airport security. These are the kinds of questions you get when you are a reporter with a name like “Jyoti” in Jacksonville, Fl. I had gone there for my first job in journalism after college, and I was often the first person from India many people I interviewed had ever met. That feeling of being a stranger in my own country – I was born in India but have grown up in the U.S. – has gradually faded. In some ways, I can thank journalism for that. When you write for a newspaper or a magazine, you are automatically part of the public conversation. It’s your reporting that tells people how their taxes are being spent, your words that describe the feelings of a murder victim’s family, and your analysis that will inform how they vote. For second-generation Indian Americans who rarely see their voices or images represented in public life, that is an incredibly powerful thing, and it’s a big part of the reason why I’ve stayed in journalism despite all its challenges and flaws.